Specializing in house made scratch food, as well as smoked, brined, & roasted meats, Iron Rail Tavern is a great place to head to for a delicious meal and great drinks, then you will absolutely love Iron Rail Tavern. It is a fantastic, beloved up and coming tavern style gastropub in the Wheat Ridge area that is extremely popular amongst the residents of the area and folks who stop into the area on weekends. They also specialize in delicious pastrami sandwiches, ribeye cheesesteak, homemade dips, smoked chicken wings, and fantastic, homemade dressings! 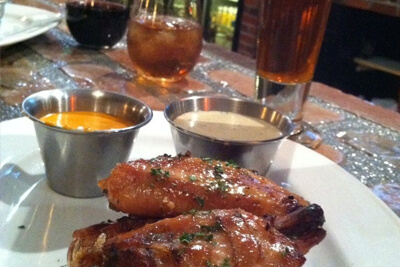 You are sure to love everything about Iron Rail Tavern! The folks at Large Marge's Philly Cheesesteaks pride themselves on only using the best quality and fresh produce and meat directly from Philadelphia itself. They are sure to use the one and only Amoroso rolls that lovers of Philly Cheesesteaks know are the best, most authenitc way to eat Cheesesteaks. Having been around since 2007, Large Marge's has established itself as a staple in the Wheat Ridge area. 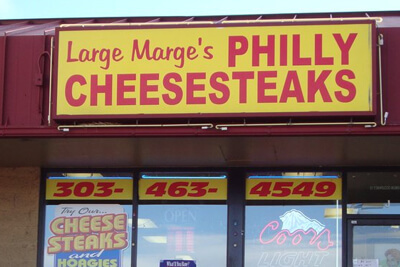 The authenticity of Large Marge's is absolutely unbelievable, with having earned the distinction of "Best Philly Cheesesteak" in Wheat Ridge several times over. Lovers of the Philly Cheeseteak Sandwich rejoice! Dolce Sicilia Italian Bakery is objectively the most authentic and delicious Italian Bakery in all of the Wheat Ridge area, and arguably all of Colorado itself! They specialize in remarkable Italian pastries and cookies, all of which are hand made and scratch baked right on premises. 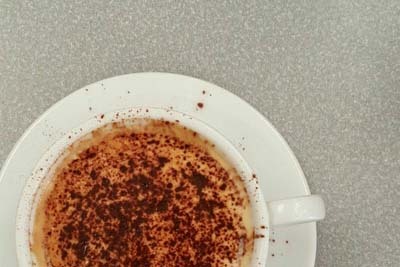 They also make absolutely delicious Italian Breakfast Sandwiches, Meatball and Sausage Sandwiches, Sausage and Spinach Calzones, Crispy Pizzas, Hearty eggplant parmigiana, cheesy lasagna, and delicious Lavazza Coffee! They are a family-owned and operated bakery that gets better and better as time goes on! Offering 56 Taps of only Colorado Craft Beer from over 30 different breweries, you can be rest assured that the folks at Colorado Plus Brew Pub will have something for your palette, including beer that they brew right in that very establishment! But the great drinks don't end there, as they also carry fantastic Colorado wine and spirits! In addition to these fantastic beverages, they also serve food. They grind all of their own meat in house and make their own sausages, all made from locally sourced ingredients. They also feature a dog friendly Biergarten that you are sure to love. 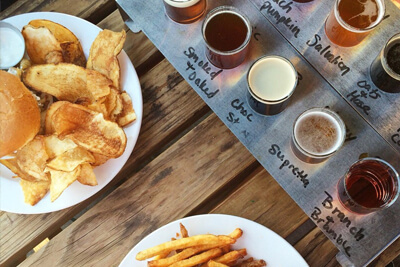 With a kids menu, happy hour, daily food specials, and private event spaces, you are sure to absolutely love every aspect of Colorado Plus Brew Pub. Nothing beats a good, delicious, authentic Pierogie. And NOTHING beats absolutely delicious and authentic Polish food. Once you have both in one place, you are sure to be out of your mind with delight. 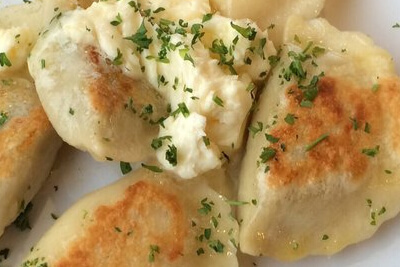 At Pierogies Factory, you can experience the best of Poland from people who know Polish food. They get it done fast and they get it done right. You won't be writing h ome about the fancy interior decor or the "atmosphere" but you don't have to because you will want to rent a space in their dining room for their delicious food alone. With Pierogies of all sorts of different styles and flavors, cabbage rolls, kielbasa, pastries, and beyond, you are sure to have all of your favorite traditional Polish meals ready to go at Pierogies Factory! If you are in the mood for delicious Thai food in the Wheat Ridge area then look no further than Real Thai on Kipling Street. They pride themselves being in a real Thai fusion restaurant, specializing in dishes from all over Thailand. No matter what Thai dish is your favorite, whether it be the Panang Curry, the Pad Thai, the Pad See Ew or beyond, you are sure to love your meal at Real Thai. 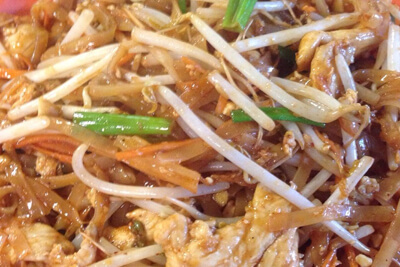 They have a fantastic selection of Authentic Thai Soups, stir fries, noodle entrees, and rice entrees. All of th eir ingredients are traditional and authentic Thai ingredients such as Thai Chile, Thai Basil, lemon grass, lime leaf, and galangal! Everything about Real Thai is just as the name suggests... Real. Thai!